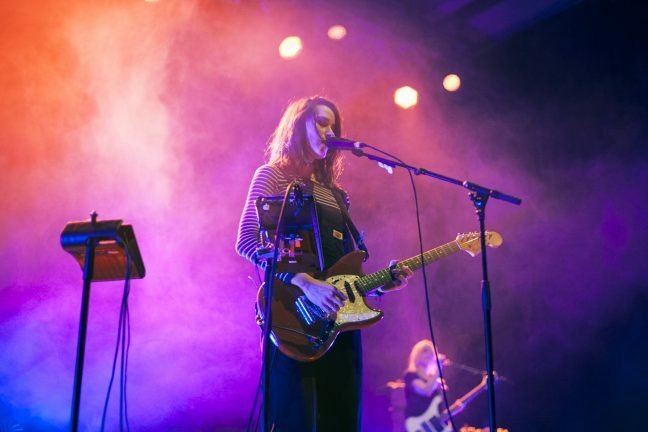 US band Warpaint make psychedelic dream pop, drenched in twangy, chiming guitars and haunting harmonies. 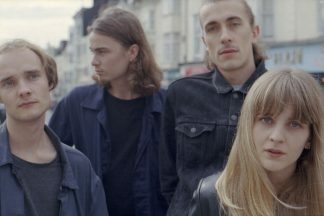 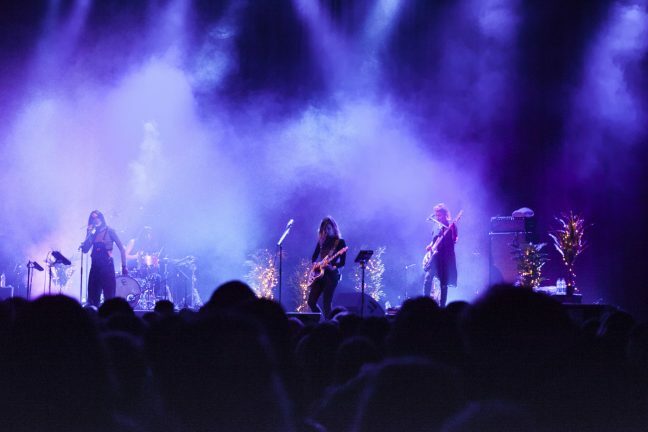 It’s beautiful, dark and – at times – sinister, and on Wednesday it wowed the Brighton Dome during their latest UK tour. 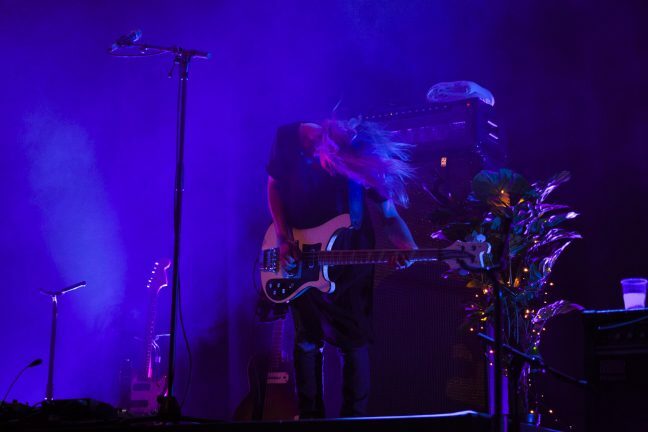 The stage was adorned with house plants, all decorated with fairy lights, adding to the surreal atmosphere at the venue. 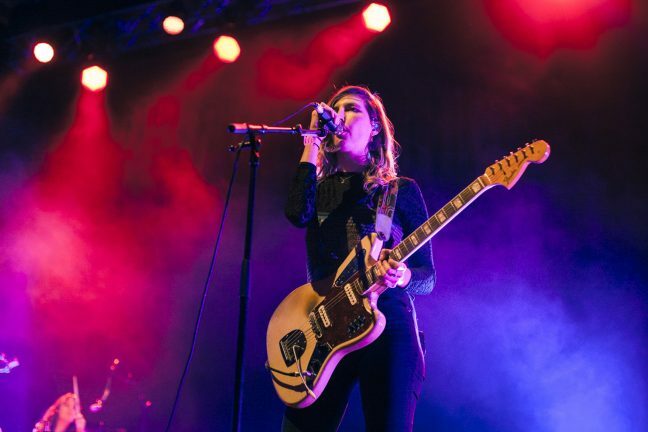 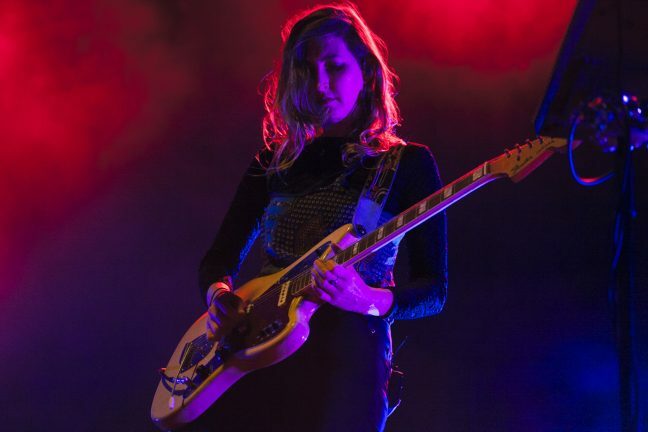 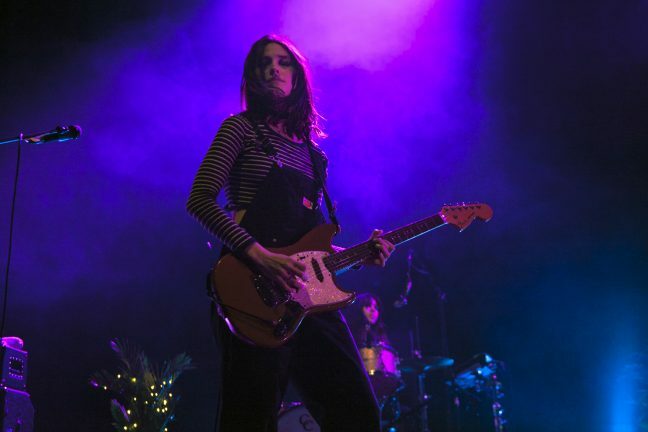 Sound issues plagued the beginning of Warpaint’s set, but soon enough the band were in full flow, guitarists Emily Kokai and Theresa Wayman exchanging lead vocal duties. 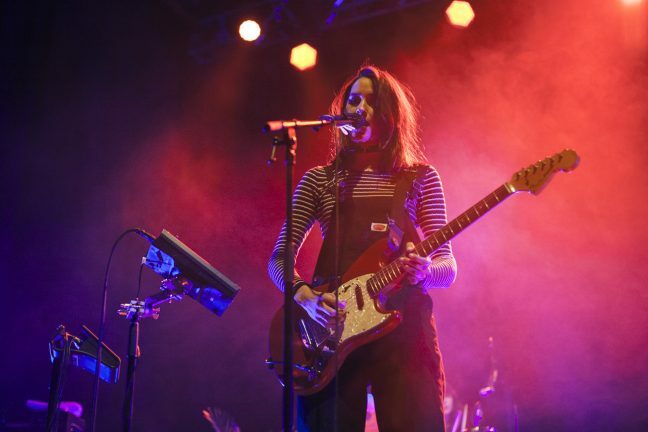 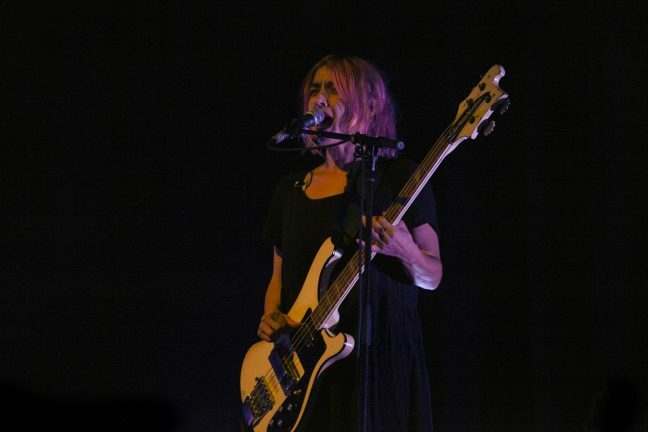 Sitting solidly underneath the textures of their spacey guitars was Warpaint’s tight and interesting rhythm section. 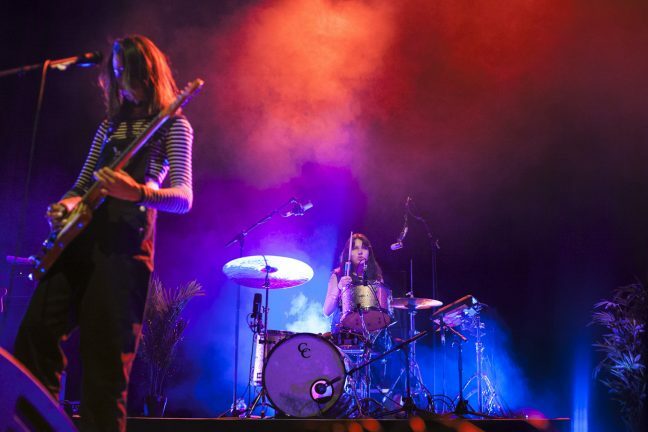 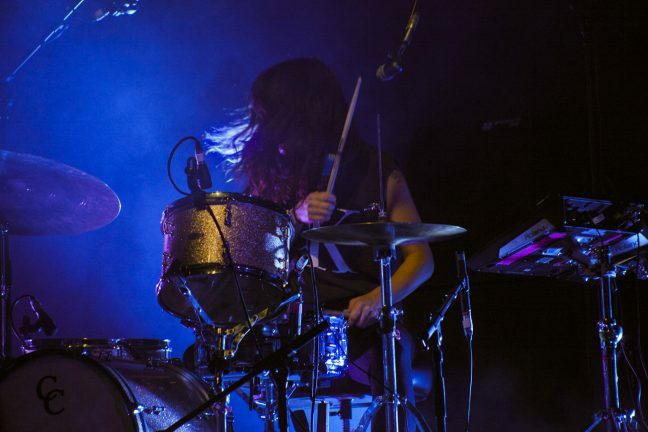 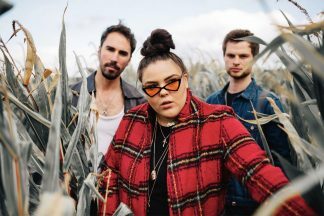 Drummer Stella Mozgawa provided a dynamic and creative groove that’s difficult to not dance to, as demonstrated by bass player Jenny Lee Lindberg, who twisted and swayed throughout the show. 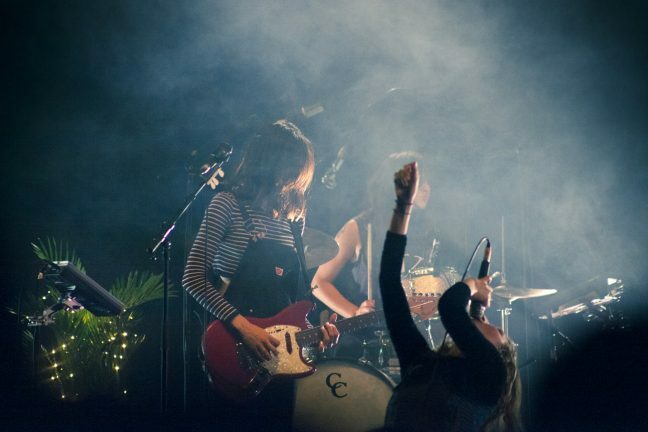 Warpaint said very little, letting the music speak for itself, breaking into favourites Elephants, Stars and Disco/Very. 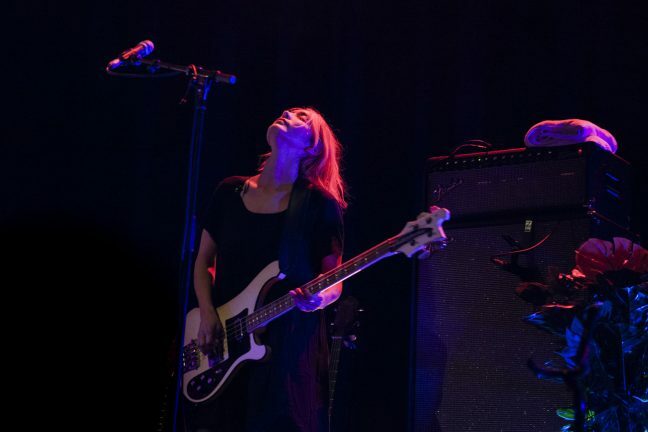 The band’s biggest tracks drew the evening to a close, concluding their UK tour. 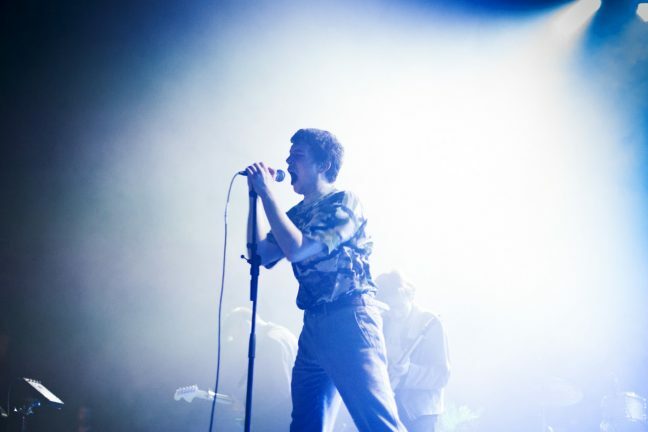 Mesmerising South London band Shame were the support, the silhouetted youngsters delivering their own brand of post-punk noise. 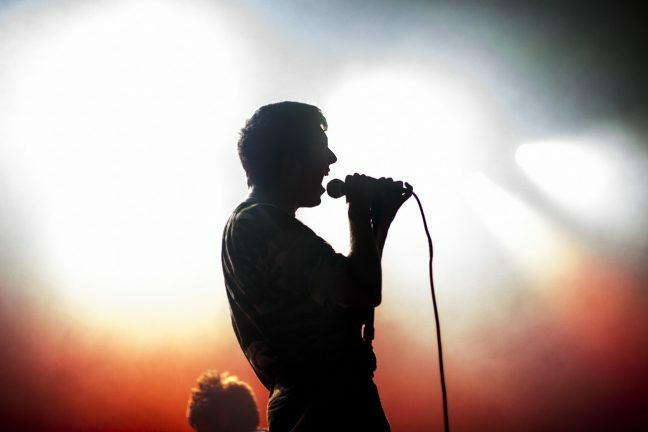 It was a different mood, and frontman Charlie Steen was almost menacing, leering over at the audience while spitting his poetic lyrics. 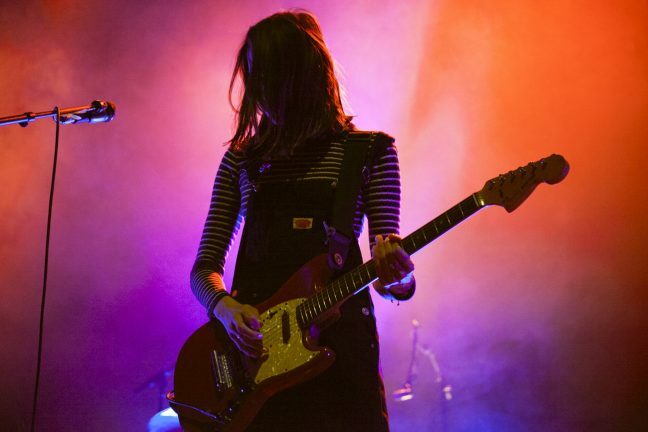 Their on stage presence sits somewhere between Joy Division and The Fall, and with a passion and angst defying their years they’re theatrical and hard to ignore.